If you play EVE Online with anyone from China, you may have noticed them becoming scarce recently. That’s because their ability to connect to the game’s main server in their native language has been removed. Now, granted, they were never supposed to be doing this at all; playing EVE on the worldwide server in Chinese was only done through an exploit. But enough players used it that their absence will be noticed. One of the most interesting features of EVE Online is that, unlike most MMOs, it is played on a single server accessible to all players regardless of where they are in the world. That server, called Tranquility, is hosted in London, and houses players from countries all over the world. The server’s main language is English, but there are multiple language localizations providing accessibility to everyone that plays EVE. Well… almost everyone, that is. There is another server, called Serenity. It located in China, and run under license by a local company. Due to the language of this licensing agreement, CCP is unable to provide a Chinese localization for Tranquility. But some players were able to create a modified version of the game’s launcher that injected special Python code and unlock the Chinese localization option anyway. While it’s likely that legal regulations are keeping players apart, everybody wants to play together: In a game where small- to medium-sized PvP engagements can involve hundreds of players, and that is widely known for having massive battles of over 5000 players at a time, there is strength (and fun!) in numbers. Regardless of what the future may hold for Serenity, Chinese players have recently begun immigrating to the Tranquility server en masse. There is a large alliance composed solely of these individuals, some of whom have begun to emerge as powerful movers and shakers in the game’s player-owned spaces. It is one of these players who seems to have made CCP aware of the exploit concerning the client localization. In this forum thread, they detail some of the conversations between themselves and CCP’s security team. Rumors came to light that the tools used to access the hidden Chinese version of the client had also injected other changes to the game’s code that could provide in-game advantages to players using them. Because of this and the breaches of the game’s licensing agreement, the exploits used to translate the client were patched, blocking most of the players in question from accessing the game. “There are no plans to introduce official Chinese localization to Tranquillity,” Grendel said. 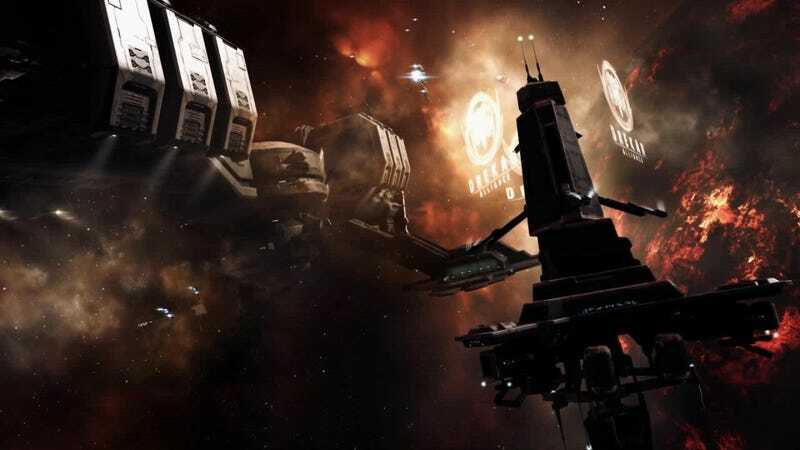 “Serenity is the designated server for players in China to play EVE Online. Time will tell which is a stronger motivator: the will of the Chinese playerbase to join the international community out of fears for their own server’s future, or the struggle with being able to interface with Tranquility in their native tongue. For the short term, the Fraternity Alliance, mainly composed of Chinese-speaking players, seems to have taken a substantial loss in player count—the alliance is down by nearly 1,500 players, or 30 percent of their total forces, since the patch.